There are many people out there who are interested in enrolling in an online course or two. Perhaps they would like to expand their knowledge on a certain topic, learn a new hobby, or get a degree, and an online course seems like a great way to do it. But when it comes down to actually registering for the course, they don’t follow through. How can you motivate people to take your online courses? How can you attract students to your online courses and convert them from curious visitors into registered students? Start attracting more students to your online courses. Sign up for Spectoos, today! If you can demonstrate to potential students that they can be successful and that the course will deliver great benefits to them, they will be more motivated to sign up. The answer to this question is a simple one: You need to use online course testimonials properly and effectively on your course pages. Displaying testimonials from past students on every course page is a very powerful technique for influencing prospective student enrollment. Many websites that offer online courses display their testimonials on their homepage or across all course pages. But if a student who is interested in studying graphic design sees testimonials related to computer programming, then the testimonials will most likely fail to make the desired impact. If you want to reach your online course registration goals, then each course page should showcase relevant testimonials by students who studied that particular course. Student testimonials allow prospective students to emotionally connect with your offering. This is because when reading a testimonial, prospective students put themselves in the shoes of the writer and imagine having a similar experience. The motivation to register can also be driven by building trust with your potential students. If they see your online course testimonials and believe that they are 100% legitimate, then they will feel even more inclined to register for your course as opposed to one of your competitor’s courses. 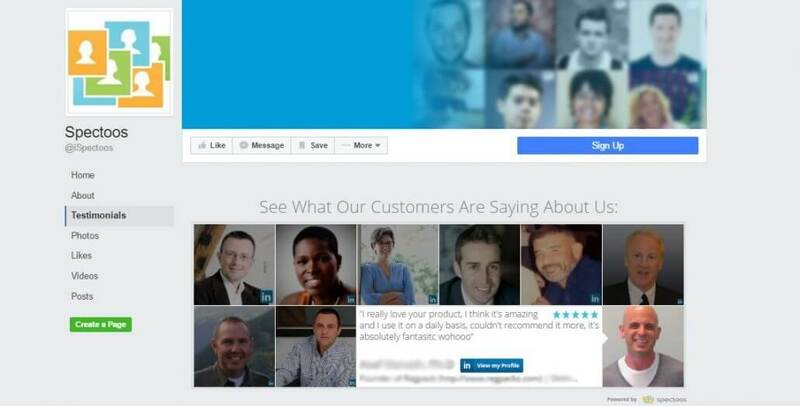 You can do this by associating each testimonial with the profile picture of the person who wrote it and a link to his/her social media profile. It is important to use a customizable testimonial widget that offers the ability to add star ratings, where each person can rate the course on a scale of 1 to 5. A star rating adds a quantitative element to the testimonials. This is beneficial because it draws attention and shows potential students at a glance how the course is being rated. Of course, not each and every testimonials is going to get 5 stars, but don’t let this worry you. Having a few 3-4 star reviews can actually be a good thing, as it shows that the testimonials are legitimate and gives greater weight to all the positive reviews. There is also a great SEO benefit if the star ratings are properly marked in the code of the page in a way that Google will show it in the search results. Spectoos is a powerful testimonials platform that manages all your testimonials in one place and also allows you to unleash the SEO power of your testimonials automatically. Attract more students to your online course by using Spectoos to boost your SEO efforts! By placing social sharing buttons on each course page, you provide students with the ability to share information about the courses via social media and attract more students. For example, let’s say someone took a course from Sugarcraft School about designing birthday cakes and posts pictures of her incredible creations on social media. Her friends might want to know where she learned how to make her amazing cake designs. 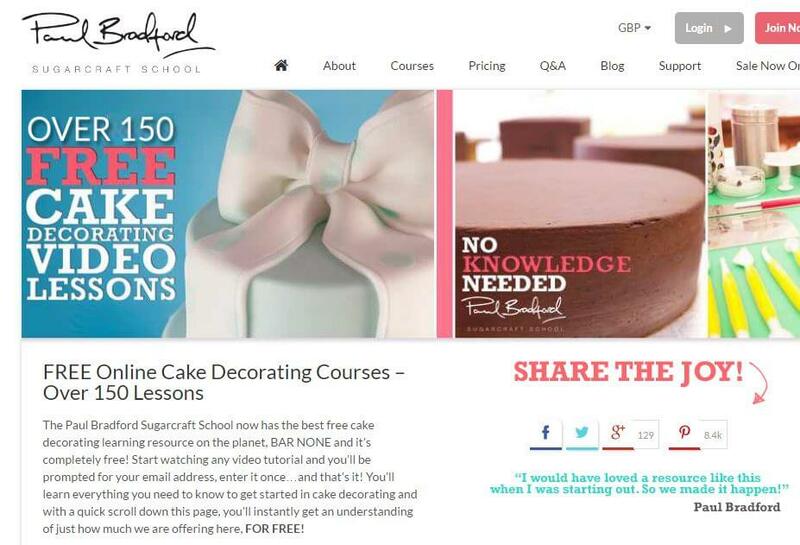 Thanks to the student using the social sharing buttons, her friends can easily learn more information about the cake design course and even sign up, themselves. As basic as this may seem, it is actually quite a powerful technique because every time your course page gets shared online, it is a form of endorsement by a fellow student. Using email marketing can help you maintain relationships with existing and past students. But sending emails, alone, is not enough to motivate them to enroll to additional courses in the future. Your emails should be informative and to the point, offer new & relevant courses for them to consider using a clear call-to-action. However, you should also include relevant testimonials within the emails to help people make an educated decision. Make sure to segment your email list in a way that would allow you to send highly targeted and personalized messages to the right audience. This would result in better open rates, better click rates, and eventually better conversion rates on your course pages. By sharing student testimonials on your social media pages you are opening them up to a broader audience and increasing the chances of meeting your online course registration goals. You can share testimonials in a variety of forms suitable to each testimonial channel—whether it be testimonial videos, integrating reviews onto your Facebook page, or sharing testimonials in a Facebook ad carousel. The Spectoos testimonial platform even allows you to beautifully display your testimonials and on the Testimonials tab with their widget. If you run an online school and want to implement what you have read in this article, we welcome you to give Spectoos a try. Spectoos is a holistic solution designed to deal with all your testimonial needs from a single place. Sign up for a free Spectoos account and start making your testimonials work for you, today. If you have any questions about how Spectoos can help your online school, please feel free to contact us. We would be more than happy to answer any and all inquiries.